How did Rab establish San Marino? Today it is hard to separate historical facts from fiction, but the legend of constituting today's tiny state on the Apennine peninsula is still being told. 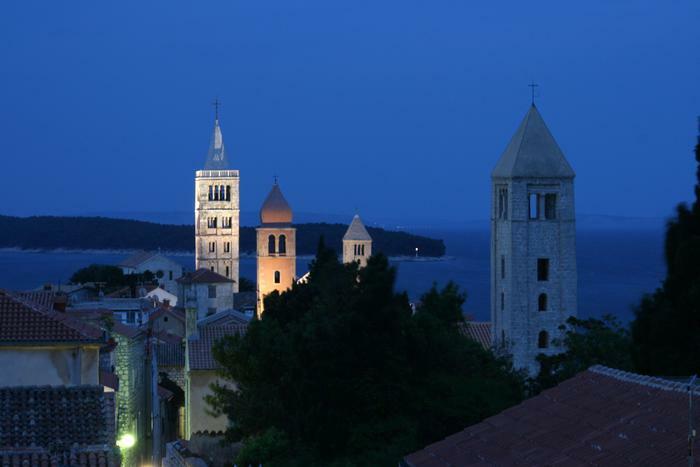 Marin, later proclaimed a saint, was born in Lopar (Rab island). He demonstrated an exceptional skill in stone masonry and when he became a skillful worker he went on the other side of Adriatic in search for work. Being a fugitive, St. Marin found a safe place on Titan hill where he built a church used as a shelter by many. On its foundations later emerged a town that became the longest existing republic in the world – San Marino. This great legend has connected Rab and San Marino for good as they signed a charter of friendship between these towns.